I usually have a little story to accompany each one of my photos of Rena and Ian but I think I'll just leave the story up to you for this one. I've said before that I feel that an image can sometimes be more compelling when you don't see any faces because it can be left up to the viewer to fill in the blanks of the visual. I can say that I was trying to convey a sweet moment here. Isn't their footwear just the cutest. 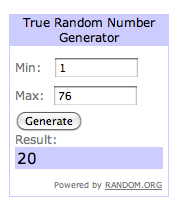 The winner of the Shabby Apple gift card giveaway is Susan of Ava Grace's Closet! Congratulations Susan! I'll be contacting you by email. i want her shoes haha! such a cute post!! Congrats to Susan and I love that little detail shot--her shoes are amazing! Hope you had a great weekend, even though it was a long one it still feels too short! Such a cute photo - I love Rena's shoes! Such a lovely post!!! You have a really great and interesting blog!!! I wasn't brave enough to go into J. Crew on the holiday weekend but I looked online and saw the pair of flats I already have on sale - I know if I waited they would be out of my size though. I don't have too much luck in the store with sales but I'm definitely not patient enough to go regularly so that is probably a big part of it. It sounds like you and I have the same herb cooking issues. I have had to throw away pots and I had to have my father drill the burnt part out a few times. I switched to the powdered stuff and I must say it suited me better as far as cooking goes, but it doesn't seem as strong. I'm so glad you found someone good though and are almost perfect again. Sorry about the fruit thing, that would make me sad. At one point it felt like I was an air-etarian I could eat so little but I've figured things out to where it's not as bad. I feel better when I do the right thing. I miss onions and garlic though so I can't wait for the "witch doctor". I might combine it with a trip to the garment district just to make the drive to NY even better! Ah! I love it...that photo is so cute, and you are absolutely right, it tells a story, one different to every one of us...great concept my friend! Sooooo adorable, Rowena! Let's see ... Rena could be leaning forward and giving Ian a little kiss ... or whispering sweet nothings ... or sharing a secret ... the possibilities are endless!! I find the same thing true with illustration sometimes too ... no faces and the mind has to create the story ;) Hope you're having a lovely week and feeling good, sweets! xoxo Oh, and congrats to the winner! I LOVE THIS PICTURE!! And yes the footwear is gorgeous haha. 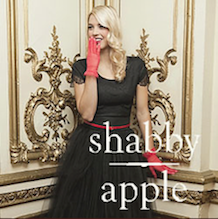 I'm also a little jealous I missed this Shabby Apple giveaway! I love them! This photo is super cute, even if we can't see their faces. Adore the footwear! awwwww her shoes are sporty yet girly. i loves.